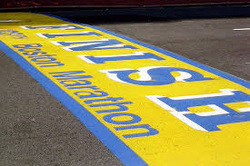 Team FCVN will be running in the 2009 Boston Marathon on April 20, 2009. As you know, there are many reasons why participants choose to endure the physical and emotional challenge of the Boston Marathon. Some run to win; most run to finish; a few, use the opportunity to give. Members of Team FCVN 2009 are the chosen few. Team members have chosen to share their dream of completing a Boston Marathon with orphaned children in Vietnam. Help us, help them reach their goal, by pledging, either by check or online. (be sure to include the team member’s name when pledging). Congratulations to Tom Nguyen and Scott Thatcher, Team-FCVN: 2010. Together, not only did they complete the historic Boston Marathon…they raised over $10K. A new FCVN fundraising record. WOW! Scott Thatcher is an information technology and management consultant. He has been an avid runner throughout his youth and has wanted to run the Boston Marathon since attending Emerson College. In his spare time he enjoys participating in other regional races as well as traveling. Scott lives in Boston close to the finish line of the marathon with his wife Oum. My name is Alessandra DeMarchis and I am a Junior year Biology major at Williams College. I am originally from Burlington, Vermont but currently live in Park City, Utah where I am able to enjoy skiing, climbing, mountain biking, and of course running. Up until this year I was a varsity Cross Country Skier for the Williams College Ski Team. After joining the Williams Outing Club last spring, I decided to concentrate my time on climbing and hiking. I ran the Burlington marathon two summers ago and it was one of the most reward experiences of my life. I am looking forward to supporting the FCVN and running the Boston Marathon this April.